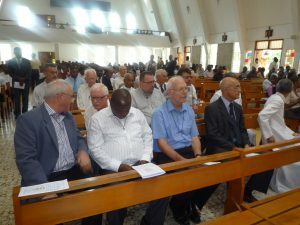 On 2nd October, the 11 Major Superiors met in Delmas, Port-au-Prince to begin the General Conference with a day of celebration, in communion with the whole Province of Haiti. 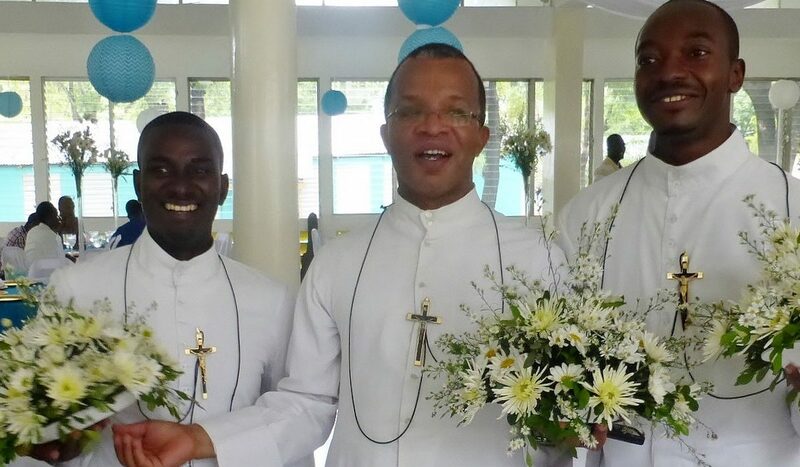 This was to celebrate the final commitment of two young Brothers, Rony and Vilson. This celebration was presided by H.E. 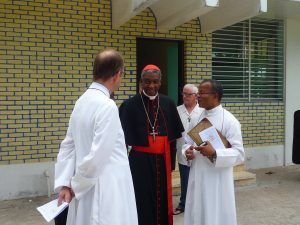 Cardinal Chibly LANGLOIS, Bishop of Cayes, in the south. 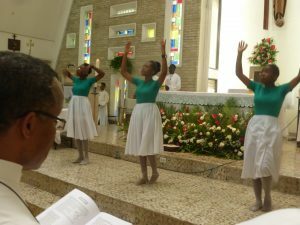 He shared his joy of being there, in the heart of the Mennaisian Family of Haiti, a former student of the Brothers at La Valley; also joy to welcome all the Major Superiors of the Congregation present on that day. The Brothers of Port-au-Prince have “done their level best” to host the Major Superiors for a fortnight. The General Conference is an important time of formation, reflection, and sharing all the important themes of the Congregation today. 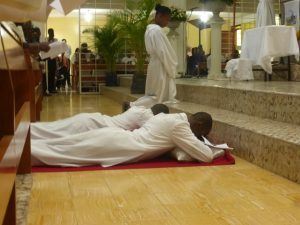 This without losing sight of the issues of major deadlines to come, such as the bicentenary of the Congregation from 2017 to 2019 and the next General Chapter in 2018. You will be able to follow the news about the General Conference, visiting the Facebook Page of our new Website.